I get so excited when I see big, gorgeous bunches of crisp local greens for sale at my grocery store. Despite my best intentions to stick to my grocery list, I usually ignore the quantity "1" next to "bunch of greens" and start piling an assortment into the cart. 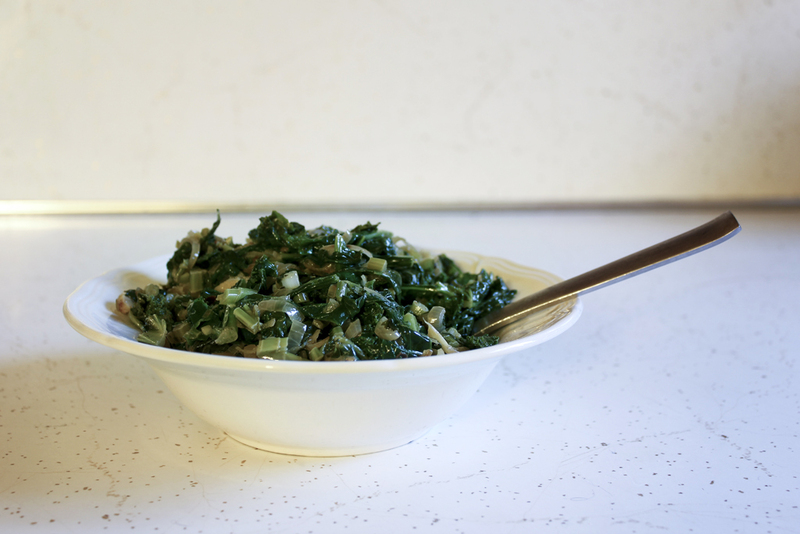 Turnip, mustard, collards, kale, swiss chard, spinach... I just love them all! What I don't love? Preparing them to cook. I dread it. So each night I open the fridge door and see them all in there becoming sadder with each passing day. I saw this little recipe and it gave me just enough motivation to break out all of my colanders, bowls, and the world's largest sauté pan. 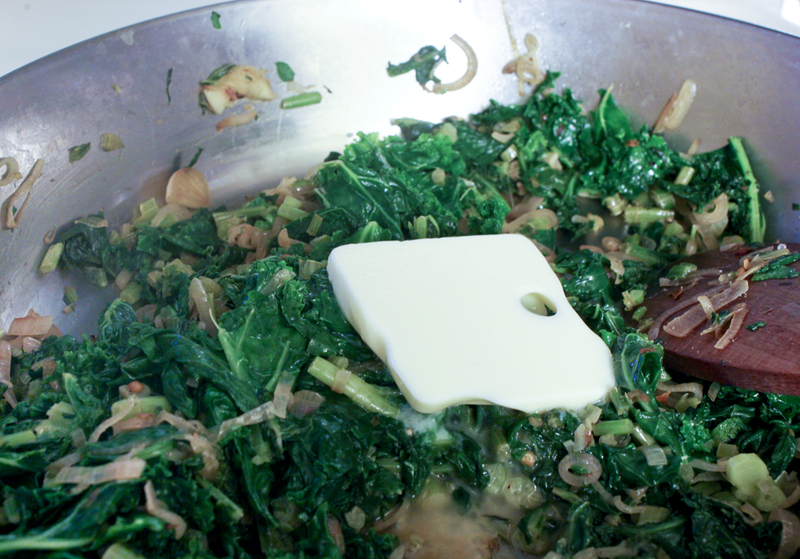 I typically don't do too much to my greens when I cook them. Just a little salt, pepper, and oil is all I really require, or a little citrus. 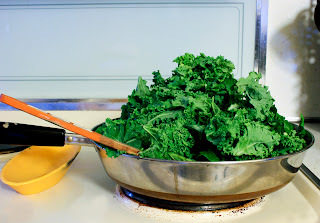 Seeing apple cider vinegar, shallots, and crushed red pepper was just the little extra addition to my simple greens that was needed to spur me into action. I mean, it's now officially fall! I made winter squash! 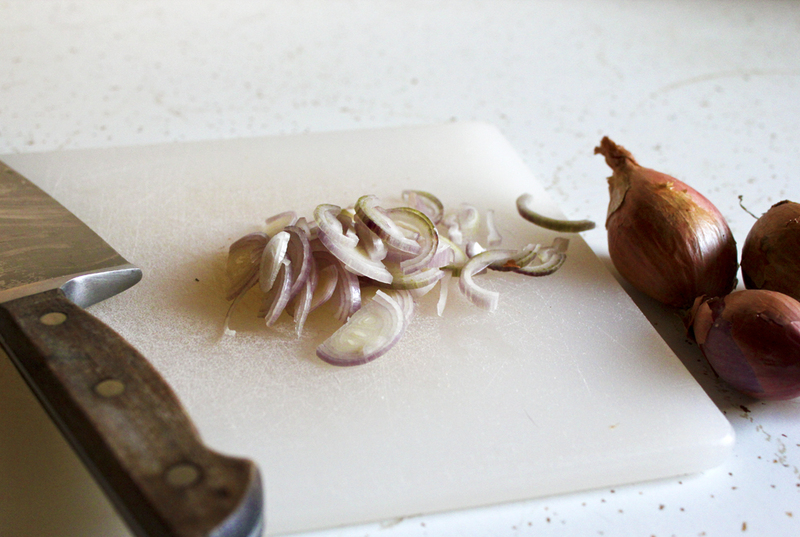 So cider vinegar and shallots are totally in order. Do you chop up stems when you make greens? You should! I know, it's yet another annoying step to preparing them, but you get so much more bang for your buck. Plus, they taste good and add a little textural difference. If you're making rainbow chard, they look pretty too. 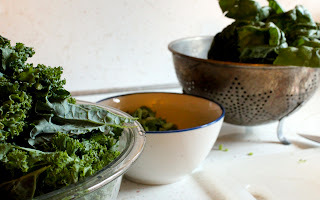 As for which greens to use in this recipe, I think it's kinda nice to use two different bunches. I used kale and spinach, so two mild ones. Next time I might try using a bitter green and chard. 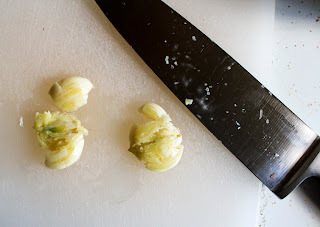 It doesn't really matter, they all have their differences but will all work with the simple ingredients in this recipe. The addition of butter is really pretty awesome at the end here. I guess that's a stupid statement. If you're looking for something to serve this with, it's pretty versatile. Something easy (since you'll be sick of washing, stemming, chopping, ripping) like a pork chop, or fancier like meat loaf. Is meat loaf fancy? I think it's kind of a reject valium-laced-1950s-mom dish, but whenever I make it it's consistently like the greatest thing I've ever eaten. I'll put the recipe up some time this winter I predict. It's a hunk of bacon and beef and pork and dates and carrots and celery and onions. I love it. 1. 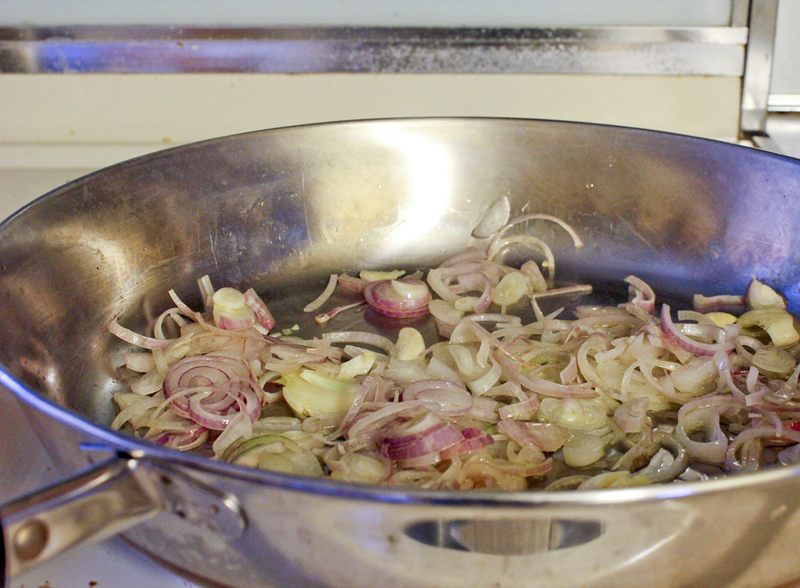 Heat oil in a large sauté pan over medium heat. Add shallots and garlic. 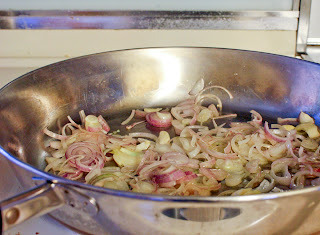 Cook, stirring often, until they're softened, about 5 minutes. 2. Add red pepper flakes and stir for about 1 minute. 3. Dump in your chopped stems and cook for about 6 - 7 minutes. 4. Add leaves, in large handfuls if they won't all fit at once. Stir around until they're just wilted, about 5 minutes. 5. Stir in vinegar. Start with a small amount and increase if desired. You'll kick yourself if you over-vinegar right off the bat. 6. Add butter and stir around to melt it. Season to taste with salt and pepper. Oh yum. Now it's time to go out and buy more large quantities of greens, because this will be gone in one fell swoop.